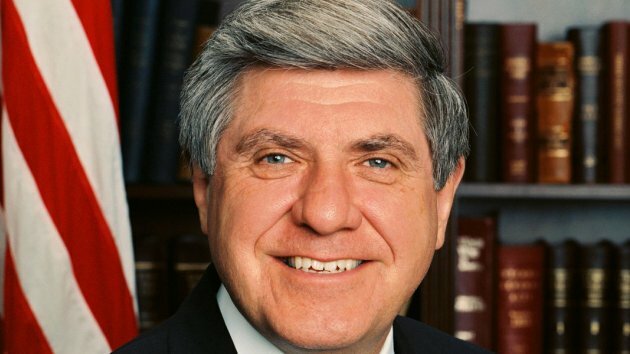 Sen. Ben Nelson (D-NE) To Retire - Joe.My.God. Two-term Sen. Ben Nelson (NE) has announced his retirement, spurring renewed fears that the Democrats will lose their Senate majority in 2012. Nelson has consistently been one of the most conservative Democrats in the Senate, and during the very brief period in 2009 in which the caucus held 60 seats, his was usually the toughest vote to secure. Still, no one should think that he is interchangeable with the mainstream Republican who will likely replace him; Nelson, after all, did eventually vote for the Affordable Care Act, the stimulus bill and numerous other Democratic priorities. The Democrats’ hopes of holding the seat come down, at this point, to the vague possibility that former Nebraska senator and governor Bob Kerrey will attempt a comeback. In 2012 Democrats will have 23 seats up for reelection. The GOP has only ten.